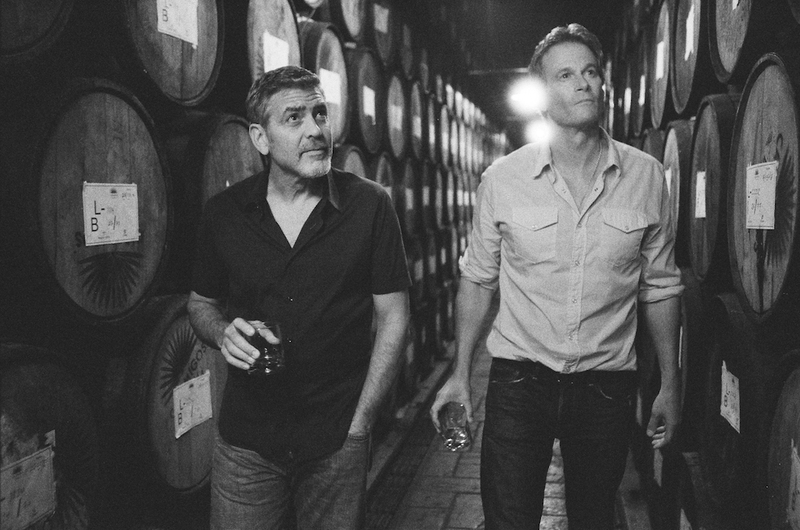 Best mates George Clooney and Rande Gerber who brought you Casamigos Tequila, have added Casamigos Mezcal to the award-winning family and it’s now available in Australia. Casamigos Mezcal, made in Santiago Matatlán, Oaxaca, Mexico is crafted from 100 per cent Espadín agaves. In partnership with the family who makes the Mezcal, they use traditional and unique production techniques and hold long-standing mezcal traditions. “We’ve created a mezcal that is as good as our tequila. 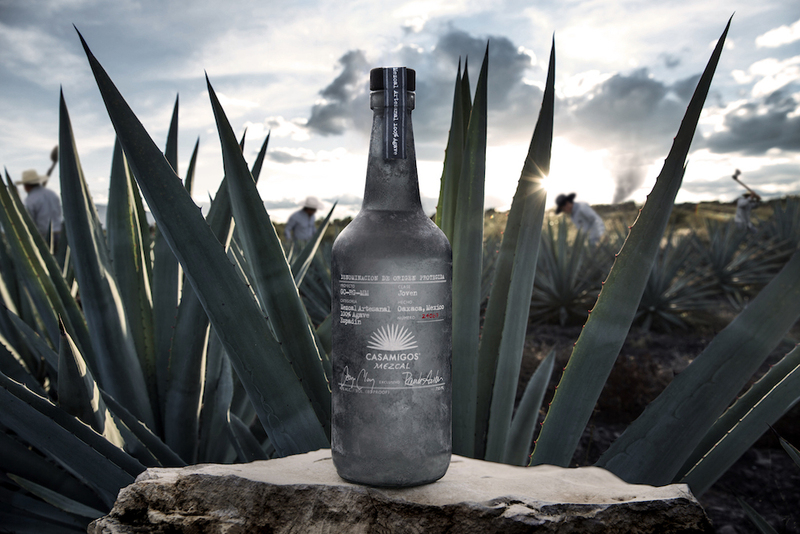 Casamigos Mezcal is uniquely smooth, easy to drink and smoked to perfection,” says Rande. Casamigos Mezcal is twice distilled and allowed to stabilise for 30 days before mountain spring water is added to finalise the mezcal. Like with Casamigos Tequila, before each batch is bottled, George and Rande taste the mezcal to ensure it is of the highest of quality. 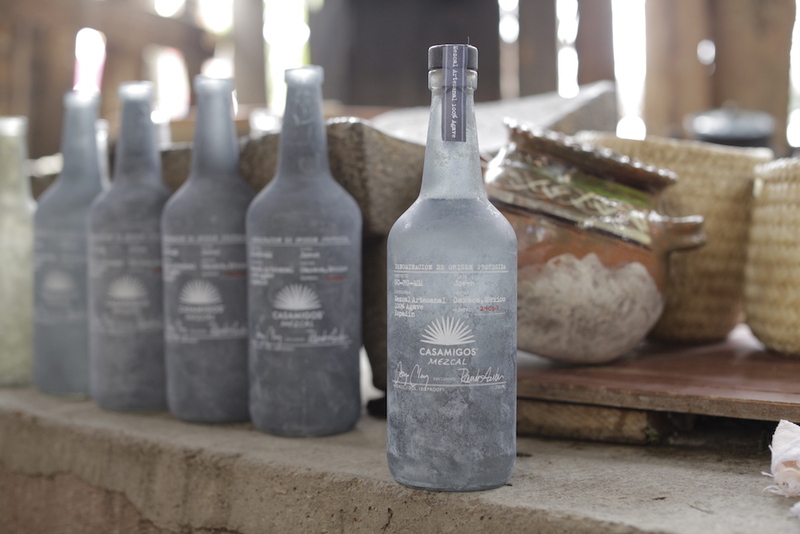 The unique bottle design, is handcrafted and rubbed using a unique process ensuring no bottle will ever be the same. The bottle is then entered into a 190° oven. Once cooled down, the labels are printed on the bottles which are then placed into a Lehr for curing. The bottles are then heated in 25­minute intervals. Rande wanted the bottle to have a rough yet soft personal feel. Each one will be unique and different to each person who touches it. The end result is a beautifully hand­crafted piece of art, designed by Rande Gerber. Casamigos Mezcal is balanced and elegant, offering harmonious hints of tamarind, pomegranate, banana and mango. Fresh herbal mint aromas, dried oregano and thyme lend character to the mezcal. The delicate tones of smoke, hints of licorice and mineral nuances lead to a long silky finish. Traditionally this agave spirit is slow­sipped at room temperature from clay shot bowls called copitas. Casamigos Mezcal is available in Dan Murphy’s stores nationally, RRP$90 for 700ml bottle.